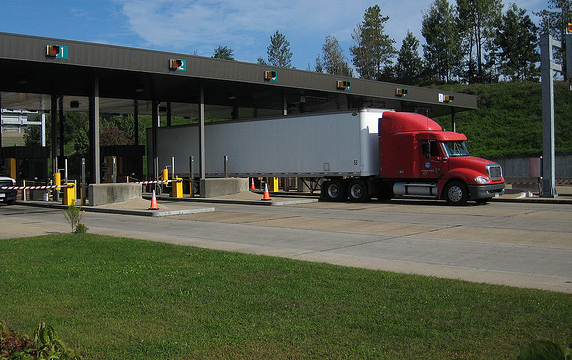 Gina Raimondo the governor of Rhode Island announced last week that the state plans to apply toll fees to large commercial trucks anytime they travel through the state. The proposal calls for tolls on class 6 vehicles and up at about 20 locations. According to Raimondo the toll would contribute to the $700 million revenue bond to fix and upgrade the damaged roads and bridges in Rhode Island. However the Rhode Island Truckers Association (RITA) feel that they’re being singled out for a universal problem. A recent study by the Congressional Budget Office (CBO) support Raimondo’s bill; truck freights cause more than $58 billion to $129 billion of social damage* per year. These factors include wear and tear on the roads crashes congestion and pollution. However with RITA strongly voicing their displeasure the lawmakers have decided to scale back and exempt class 6 and 7 vehicles from the toll and charge trucks only once per day. Originally smaller trucks such as those carrying oil and trash would have been included but due to the possibility of smaller local businesses being taxed changes were been made. The current bill would lead the median toll to be about $6 per location which leads to a maximum charge of $40-$50 when traveling across the state. Raimondo is continuing her efforts to adjust the bill in order to accommodate the concerns. These numbers come from the nation’s 10.6 million trucks generating an estimated 2.2 trillion ton miles travel per year. with the social cost of a truck ranging between 2.62 and 5.86 cents per ton mile.